The ESRI's forecast that net migration will total a combined 100,000 in 2011 and 2012 has understandably been greeted with dismay. The prospect of tens of thousands of our young people being forced to find work and a future abroad is truly appalling. However, one thing overlooked in the coverage was that not all emigrants from Ireland are Irish. In fact, as recently as last year (see Table 3 from the CSO's Population & Migration Estimates April 2010), only a minority of emigrants from Ireland were Irish - 42% to be precise. The greater part of the remainder of emigrants were Eastern Europeans. This is inevitable. Most of those who migrated to Ireland during the boom years did so for economic reasons. Work mostly. And now they are leaving for the same reasons - probably to work in their home countries (most of whom, especially Poland, have come through the recession unscathed and are already recovering strongly). So not all of the 135,000 emigrants projected by the ESRI (they forecast 35,000 immigrants hence the net 100,000 figure) will be Irish. 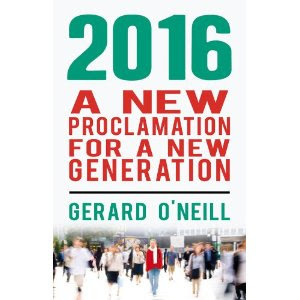 Indeed, if the trend of recent years continues then most of the 100,000 will be non-Irish. That still means that tens of thousands of young Irish men and women will emigrate. It is still an appalling vista for their parents who, until recently, had hoped to bequeath them a better country than that they inherited. But we should remember that the forecast is not the future. There is no 'natural limit' to the numbers of people who can be employed in this country. By removing the shackles from Ireland's economy (especially those we control ourselves as a nation such as the amount of tax taken from employees, and the costs imposed by the state directly and indirectly on businesses) then the domestic economy can grow just as the rest of the world is growing. That's the very least we can do for our youth in these dark times.